Passion de la Mer and Passion Bistro are two brands of ready-to-cook meals on GAN’s product line. Since we specialize in food processing and are passionate about fish and seafood, marketing passionately cooked meals is a natural fit for us. Our R&D lab and cutting-edge facilities at our processing plant are used to prepare dishes, from developing new tastes to packaging finished dishes. 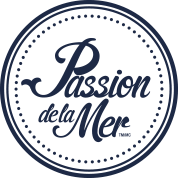 Now distributed in most Quebec groceries and across Canada, Passion de la Mer and Passion Bistro are highly popular with consumers. Delicious flavours, high-quality ingredients and culinary discoveries are on the menu. Share the passion! The Passion de la Mer brand is a delicious combination of passion, knowledge and innovation. Our mouth-watering dishes will give you a new perspective on seafood and fish. Among the products offered by Passion de la Mer are seafood stuffed shell, salmon pies, wild Pacific salmon sausage and burgers. 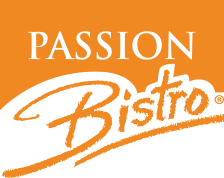 Passion Bistro: Taste the passion! The Passion Bistro brand offers delicious and delightful meals you will enjoy, as a family or with guests. This line of ready-to-cook meals recreates a bistro ambiance in the comfort of your home. In addition to Passion Bistro's French onion soup, various new gourmet products will soon be added.